Brucellosis is a millenary disease caused by several Brucella species which can affect animal and human populations. Brucella melitensis causes a severe debilitating illness in people. It is primarily carried by goats and sheep; the non-zoonotic B. ovis is found in sheep. During outbreaks, high morbidity levels with low mortality rates can be observed in small ruminant populations. The survivors spread the bacteria throughout the environment by contaminated abortion products and milk, infecting new hosts and establishing an environment where the disease becomes endemic. Concomitantly, the World Health Organization estimates that there are around 500,000 human cases of brucellosis per year, mainly in countries with poor socioeconomic status. This open access eBook explores and summarizes the most relevant information regarding brucellosis in small ruminants. An up to date discussion of the worldwide epidemiological situation regarding B. melitensis, as well interactions within and between animal populations and human populations or the environment is also done. All these aspects are supported by a significant description of the Brucella genus, pathogenesis, host immunity and laboratorial diagnosis. The final chapter outlines several concepts for strategies to control and eradicate brucellosis in small ruminant flocks. 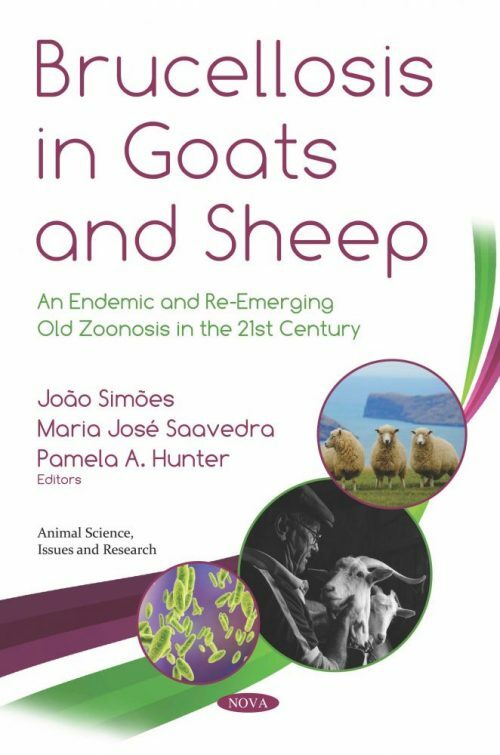 The authors hope that this eBook can provide an integrated overview regarding this zoonosis and be valuable for students, professionals and academics working with small ruminants at different levels.